Kokeshi Dolls are a popular and well-known artisan product in Japan with a rich history. 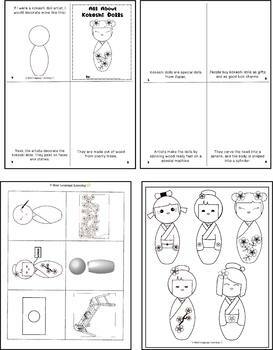 This product introduces students to the history and production of Kokeshi Dolls. 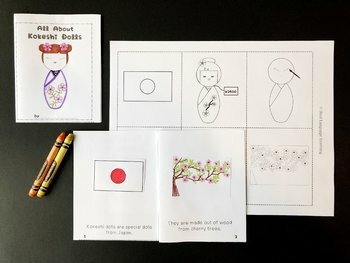 Students will color illustrations about Kokeshi Dolls, and then cut and paste them onto the appropriate pages in the mini book. 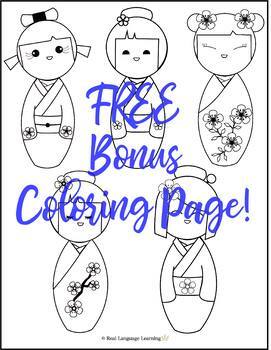 This product also comes with a FREE coloring page feature five adorable Kokeshi Dolls for your students to color! This product can be adapted for use with students at any age, but is best-suited for elementary-aged students. For a more in-depth reading and comprehension activity about the history and production of Kokeshi Dolls that is more appropriate for older students, see my other listing, "Kokeshi Dolls Reading and Comprehension." 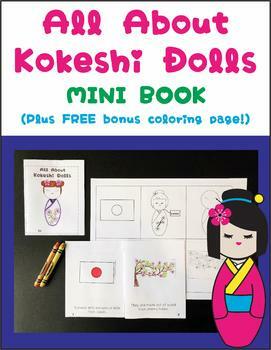 You might also love my other products, "Roll a Kokeshi Doll" and "Colorful Japan Mini Book."